We cannot display this galleryMercedes-Benz offered an insight into the next generation of A-Class when it unveiled the new Concept A Sedan at this year’s Shanghai Auto Show. The Concept A Sedan previews the more aggressive look Mercedes’ hatchback could carry into its fourth generation, as well as teasing a possible saloon variant that would line-up alongside its already established mid-size CLA. 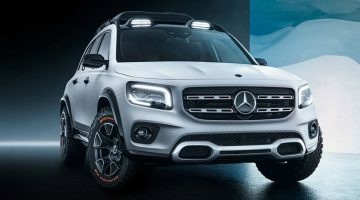 Though Mercedes has yet to confirm production details, the company has stated in the past that at least three new models will join its compact fleet before 2020, making a production version of the Concept A Sedan all but certain. This spells potentially tricky waters for closest rivals Audi and BMW, specifically the A3 and 2 Series respectively. 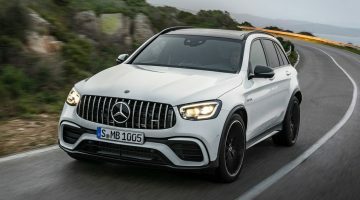 It has also been speculated that an AMG version of the Concept A Sedan, should it be green lit, could hit the market by 2019, spelling bad news of Audi’s RS3 and BMW’s M2 as well. Interestingly, dimensionally, the saloon concept is no longer than the current A250, but at 1462mm and 1870mm, does stand both taller and narrower than the third gen hatchback. This also makes it 116mm shorter, 60mm wider and 20mm higher than Mercedes’ already established C-Class. Perhaps more striking though are the looks, the main element of which (at the front at least) is the deep Panamericana grille that first appeared on the AMG GT and is set to become a division staple. Large trapezoidal headlights (plus ‘eyebrows’) and a contoured bonnet complete the more aggressive look at the front compared with a more sculpted, contoured approach at the back. Note the short overhangs, a ‘diffuser-look’ rear bumper and revamped taillights that ‘glow’ in different colours thanks to a coating of UV. Reduced wheel arches and 20in bespoke wheels complete the look. Also up for speculation is the range of engines, with many surmising that a version of the 1.6-litre four-cylinder currently used in the CLA could be the base engine, while a variant of the 2-litre turbocharged four-cylinder used in the AMG A45 could be used in its sister saloon, with up to 400bhp up for grabs. 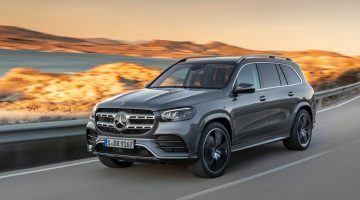 Expect a hybrid option to be thrown in there somewhere too, and though currently front-wheel drive, the fourth gen A-Class could also be engineered to support AMG’s ‘4MATIC’ four-wheel drive system. Enjoy this Mercedes Concept A Sedan news story?